Today (6th February) marks International Day of Zero Tolerance for FGM. There is information below on what FGM is, warning signs to look out for, and where you can go for support. If you or someone you know is, has been, or is at risk of becoming a victim of FGM, contact Warwickshire Police on 101. In an emergency, dial 999. Just last week, a mother became the first person in the UK to be found guilty of FGM. While there is some intelligence to suggest FGM is being physically performed in the UK, most victims are usually taken abroad, commonly on flights in the Easter, summer and Christmas holiday periods. The UN Agenda for Sustainable Development promises an end to this practice by 2030. More information can be found on our dedicated FGM page. Parents originate from an FGM practicing country (further information available on the Unicef website). A child may confide that she is to have a “special procedure” or celebration. 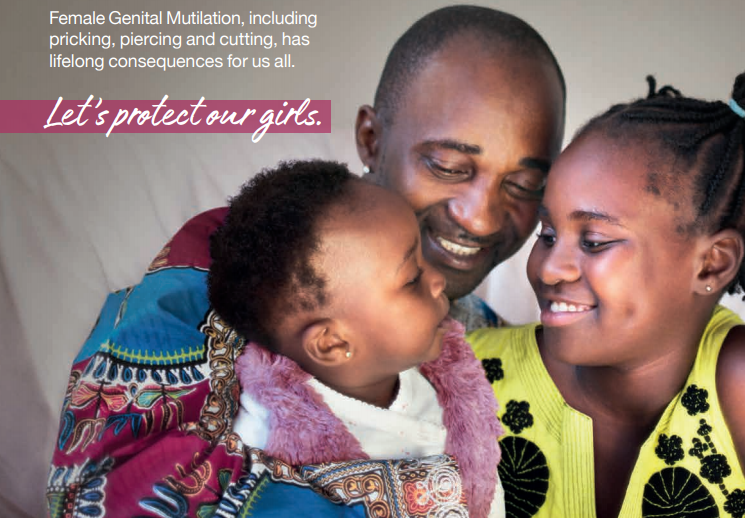 Download the Warwickshire FGM poster here. You can also download the ‘Let’s Protect Our Girls’ materials, produced by the Home Office here. The Blue Sky Centre is a Sexual Assault Referral Centre for women, men and children in Coventry and Warwickshire. Coventry Haven offers a range of support services to women and children who have experienced or are experiencing domestic abuse, including FGM.